Can BY’s Wonka Go Undefeated? The Finale of the $20,000 Bob Balfe Puppy Stakes, Saturday Afternoon, April 28! PALM BEACH KENNEL CLUB PRESENTS THE $20,000 BOB BALFE PUPPY STAKES CHAMPIONSHIP SATURDAY AFTERNOON, APRIL 28! 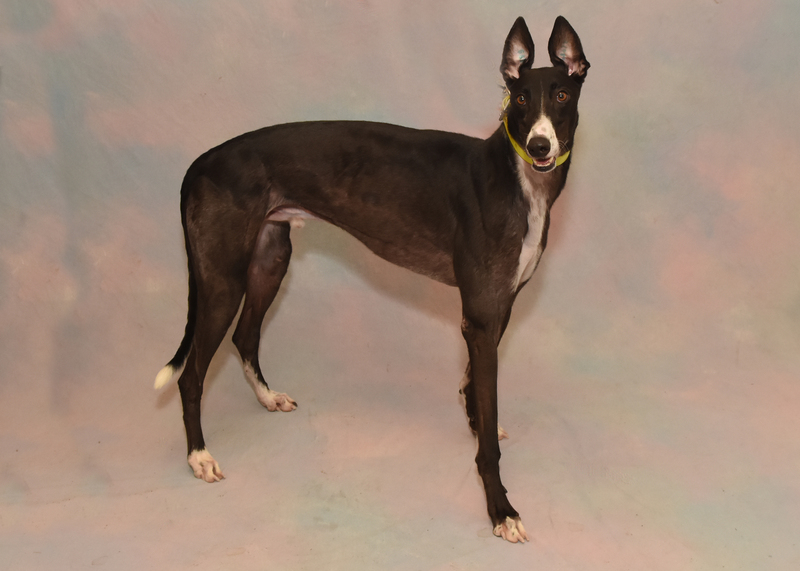 CAN RADER RACING KENNEL’S SUPER PUP BY’S WONKA REMAIN UNDEFEATED! …AND DON’T FORGET TO COME OUT FOR OUR AUTISM AWARENESS TRACK WALK AT NOON! West Palm Beach, Fl. – Palm Beach Kennel Club’s youngest racers will take to the stage Saturday afternoon, April 28, as the championship finale of the $20,000 Bob Balfe Puppy Stakes highlights a day of fun and excitement for the entire family. This year’s field features some of the best early-speed and first-turn rushing athletes on the Palm Beach Kennel Club roster. But one finalist stands paws and tails above the rest and will be the post time favorite. Rader Racing Kennel’s BY’s Wonka wowed racing fans as he swept all four qualifying rounds to enter the $20,000 Bob Balfe Puppy Stakes undefeated. Not only that, but each of his qualifying winning times were the fastest, not only in qualifying, but for that day’s entire performance. As we know, nothing in Greyhound racing is really a total lock. Wonka will have to contend with the early-speed styling of the well-positioned PJ Igotfiveonit, Racing Wishes, Amazing Chick, and Dangerouspequena. Additional possible threats to BY’s Wonka will be the strong first-turn rushers in the sleek forms of Turbo Sibley, JT’s In The Bank and nicely-positioned Flat Chat Cuppa. The 52nd running of the $20,000 Bob Balfe Puppy Stakes will be contested in Saturday afternoon’s twelfth race with an approximate post time of 4:00 p.m. The Puppy Stakes is named in honor of former Palm Beach Post Time sports columnist and great friend to Greyhound racing, Bob Balfe. * $10,000 Guaranteed Pick 4! *Join John Martin with ESPN West Palm with the Cash Cube and your chance to win your share of $500! * For the kids, Karl Koppertop will be on hand with his amazing Balloon Artistry and say hello to Ace the Poker Bear! * Greyhound Pet Representatives will be here to answer any questions you may have about adopting one of these loving and caring retired racers! * Don’t forget, the On-Track for Autism Awareness Track Walk will begin at 12 Noon!